In a nutshell, the report notes that while the construction industry overall employs a vast number of people, over 7.2 million, in fact, open jobs have outpaced employment by a huge factor. Since 2014, the number of job openings has doubled, yet the number of hires over the same period only grew by 14%. How can we tap the labor market more efficiently to fill more of these positions and get more skilled trade professionals into the job market? Besides creating a competitive pay and benefits package, construction industry employers should embrace in-house training and apprenticeship programs to introduce a younger cohort to the demands of the industry. Designing these programs to be attractive to younger workers will help employers segue their already polished digital skills into valuable on-site skills. 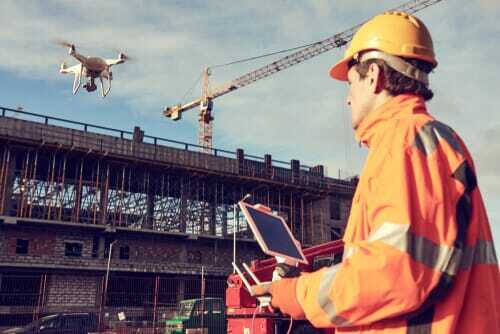 Using drones on construction job sites is becoming increasingly common for safety and marketing purposes. “Gamifying” employee training, safety protocols, and operator instruction is a boon to construction companies looking to renew their workforce with younger blood. Remember that the incoming workforce of GenZ are digital natives. They will expect a digital aspect to their jobs. By automating the manual labor involved in construction, robotics offers a solution to the talent shortage in general labor. Robotics is being used for brick-laying, masonry, demolition, autonomous vehicles, and 3D printing. You may find an easier time filling jobs with robotics machinists, software engineers, and repairers than hiring manual laborers. After the onslaught of hurricanes, heat waves, cold waves, flooding, tornadoes, and wildfires, property owners took a total financial hit that hit $400 billion in 2017. To mitigate these types of losses in the future, more owners will likely heed the call of organizations like the U.S. Green Building Council and demand resilient site and structure features. The construction standard RELi awards points for resilient features. These include adaptive designs for extreme weather events and their resulting hazards, communications, and first-aid resources. 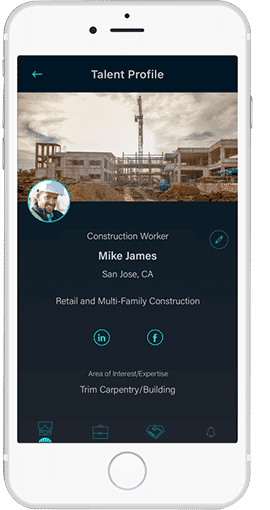 Expect to see job sites embrace technology and become even more connected than ever. 2019 will see more smart glasses, connected helmets and RFID tags to increase safety and improve productivity. With the help of these products, you’ll be able to see if a worker has fallen, get a remote report via video, and connect your team remotely anywhere on the job site. Drone usage has increased by 239% in 2018 and this will only go up. Benefits of drones include job site monitoring, land surveying, and photo and video capturing. In addition, the video can provide a bird’s eye view of the job site and provide endless marketing options via YouTube and other social media channels. If you are already in the construction industry and have years of hard-won experience, it will lengthen your career to embrace new technology. Begin to entwine your deep well of knowledge with the benefits of this new tech. If the workload is getting too hard to bear physically, it’s time to shift the burden to the ol’ intellect. In-house training for younger workers that are just entering the workforce will be a “do-or-die” for construction companies. Even if you move to 100% 3D printing overnight, someone will need to be able to draw those plans, run and repair the equipment, and write the software. The industry is changing. That doesn’t mean it is a bad thing. Stay on top of the tech and lead the pack. In addition to the skills and technology know-how mentioned above, make sure to add the skills below to your Talent Profile so you will be able to match with these construction jobs. What’s the Difference Between Talent and Employee?